StartupQuest Selangor (#SQSel) is an inclusive, newbie-friendly annual hackathon-esque event for residents in Malaysia. Unlike other hackathons, it is open to anyone without any knowledge in business or programming, which will be taught in the week preceding the event. Participants pitch and then validate their ideas, and then form teams to develop a prototype by the end of the event. Such happy. What participants. Much productivity. Held for the third time with previous two events in May and Oct 2016, SQSel 2017 saw a healthy response from participants of all walks of life and ages, who worked to develop ideas and Smart prototypes. The Smart City objective remained the focus of the challenge this year, which is further narrowed down to three topics in particular, namely: Smart Retail, Smart Mobility and Smart Living. 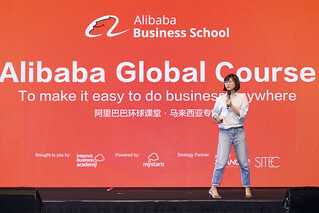 All participants were required to attend the mandatory Pre-SQSel Workshop in the week before the event proper, which would impart valuable life and business skills such as the basics of lean businesses, MVP development and obtain access to a host of free tools to turn ideas into working products. Out of 42 participants, 8 teams were formed eventually. SnapCare is an innovative health monitoring app that allows anyone to easily store their medical records securely and share with other medical professionals conveniently. SnapCare also manages the users’ health statuses such as heart rate, hypertension and diabetes. In an emergency, the app can be accessed by authorized emergency personnel to access the user’s vital health information, including blood type and allergies. Finally, SnapCare helps users locate nearby clinics and auto register with a click of a button. Snapcare went home with RM 650/team, 6 months free access to SDCC, 3 days MVP Bootcamp worth RM1,800 for FREE, FREE 3 Days All-Access Pass to Selangor Smart City and Future Commerce Convention. Athena is a digitized co-operative and online marketplace that empowers underprivileged women to play a hand in controlling the means of production of handmade goods to a mass market through a web-based marketplace. 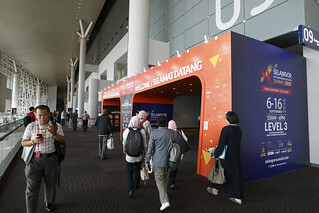 Some of the goods include handmade foods such as sauces, confectioneries and cakes, or useable goods such as clothes and bags produced by Malaysian women. 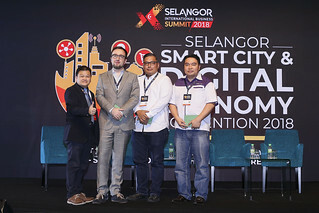 They went home with RM350/team, 6 months free access to SDCC, 3 days MVP Bootcamp worth RM1,800 – Discount 50%, FREE 3 Days All-Access Pass to Selangor Smart City and Future Commerce Convention. Meducare is a medication tracking app, online healthcare goods marketplace and directory with news and community features. Users can store information of their health records and prescriptions, and track medications as well as set reminders for medications. Information on a patient is accessible to medical professionals such as doctors and pharmacists. They went home with RM 250 in cash /team, 6 months free access to SDCC,3 days MVP Bootcamp worth RM1,800 – Discount 30%, FREE 3 Days All-Access Pass to Selangor Smart City and Future Commerce Convention.